Why Circuit Breakers Keep Tripping? 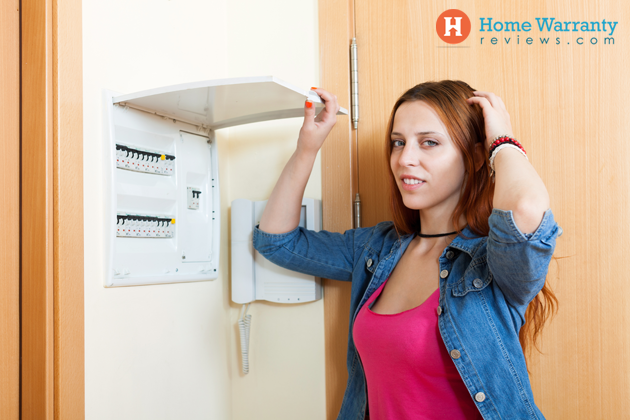 Home » Home Maintenance » Why Circuit Breakers Keep Tripping? The customary Electric Panel Box at the entrance to any building receives electricity from the government and distributes it evenly and safely to various portions of the building. Circuits are used to disburse electricity to various parts of the building. The often asked question of why circuit breakers keep tripping is simply because the circuit exists to prevent any damage. From saving you from shocks when a touch a switch or a wire, to preventing appliances from overheating and burning, circuits trip and cut current instantly. Circuit breakers form a part of the panel box. In the past century or so, circuit breakers have replaced ceramic fuses which tended to catch fire and blow up instead of tripping. In other words, they ‘cut the power distribution’ to the house whenever there is an overload on one or more circuits. It is easy to reset a circuit breaker. Unlike Fuses, they do not have to be replaced. Once the problem is rectified, it can be reset immediately. 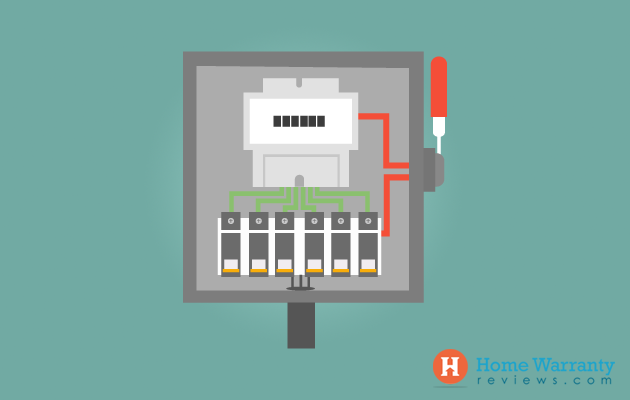 An MCB (Miniature Circuit Breaker) is electrically safer than a fuse. Quick restoration of supply is possible compared to the yesteryear fuse which needed rewiring for restoring supply. Getting a circuit breaker back on is possible by just switching it on. Half the answer of why circuit breakers keep tripping is held in the way they are built. 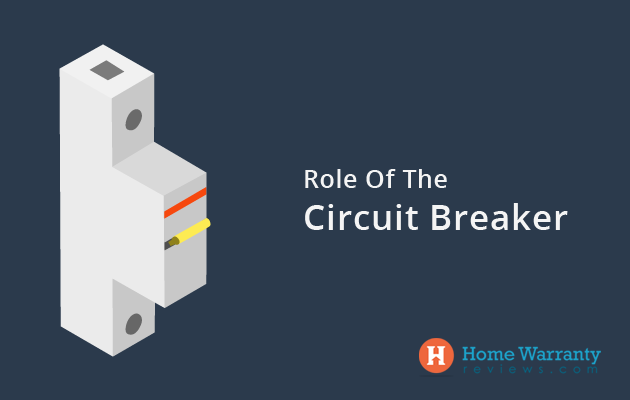 A circuit breaker is an automatically operated electrical switch designed to protect an electrical circuit from damage caused by excess current, typically resulting from an overload or short circuit. Its basic function is to interrupt current flow immediately after a fault is detected. A Miniature Circuit Breaker works in two ways. The first being, tripping due to the thermal effect of continuous overloading. The thermal operation of a miniature circuit breaker is achieved with a bimetallic strip. Whenever continuous overcurrent flows through the MCB, the bimetallic strip heats and deflects by bending. This deflection of the bimetallic strip releases a latch which is attached to an operating mechanism. The deflection opens the MCB contacts causing a trip. The second, is when during a short circuit condition which is a sudden rising of current, electromechanical displacement of the tripping coil or solenoid occurs. The plunger strikes the trip lever causing immediate release of the latch mechanism, thereby opening the breaker contacts. An MCB is much more sensitive than the fuses of the past, and easy to install and operate. A Ground fault circuit interrupter uses Electronic technology instead of a mechanical system. It turns the circuit off through interruption when there is a current leak. A current leak is an automatic flow of current, from the live electrical parts of an appliance to the nearest accessible metal casing or chassis. Leakage current normally flows through a third wire connected to the ground. Improper earthing or grounding can also cause current flows through other paths such as the human body. It is primarily caused by electronic devices like radios, and televisions which are attached to capacitors. Capacitors such as transistors or diodes conduct a small amount of current even when they are turned off. An Arc Fault Circuit Interrupter makes use of advanced electronic technology to monitor the circuit for the presence of abnormal current flows. Motor-driven vacuum cleaners, motors, and heavy-duty equipment naturally create arcs. This is considered to be a normal arcing condition. When arcing occurs, the AFCI analyzes the characteristics of the event and determines if it is hazardous. You may wonder how this is possible, and it is all a matter of possibility. AFCI manufacturers test for hundreds of possible operating conditions and then program their devices to monitor constantly for the normal and dangerous arcing conditions. 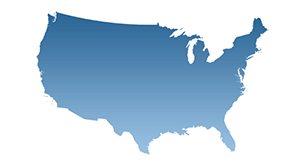 AFCIs are used in specific conditions or buildings. The GFCI and AFCI being sensitive electronic equipment, have been known to trip in the presence of one, strong radio signals especially from Hams, and two, Walkie Talkies used primarily by policemen in the vicinity. There is also a chance that select TV channels and even a few WIFI signals could be caught by them. Manufacturers have been regularly improving on AFCIs and GFCIS to rectify these faults by improving the technology. That is why it is advisable to spend a little more money on the breakers and invest in the best to avoid unnecessary worry when circuit breakers keep tripping. Single pole breakers: These are single switches and control most of the smaller appliances and equipment. Double pole breakers: These look like dual switches. They handle larger appliances and equipment. Each circuit in a building has a corresponding circuit breaker. Whenever there is an electric overload or a short circuit, the corresponding breaker automatically trips to shut off the flow of electricity to that circuit. The continuous fact that circuit breakers keep tripping can be categorized loosely in five. The first two are when a circuit breaker keeps tripping without load or with a low load. The next two are immediate or random tripping of circuits. And the last is circuits tripping only in one part of a phase of the home. Unless electricity input to the building has been totally blocked, tripping with no load is a misnomer. So these two cases are fundamentally one and the same. Electronic devices like Transistors and Televisions which are attached to capacitors, such as transistors or diodes conduct a small amount of current even when they are turned off. Current leakage in the input wires due to a fault in the earthing will also trip the circuit breaker as a safety precaution. Wires damaged by insects or pests lead to a short circuit even if the load is low. Voltage surges which are very common in some Indian States may also cause tripping during a low load phase. Manual restoration of a tripper should be done only after addressing the reason for why the circuit breaker keeps tripping. Continuous immediate tripping after restoration means there is an inherent problem in that circuit. The cause can be varied, as mentioned above. Random tripping is usually caused by a particular faulty fixture which is consuming too much of electricity and overheating. It can also be attributed to a fixture which has been continuously on, like a geyser, garden lights or a charging computer system. It is pertinent to note that fixtures like refrigerators, freezers, medical equipment and the like have an internal tripper. This is because they have to be kept on permanently. Both the above are also likely to happen if the circuit breaker is electronic. This is also if it has weakened with a lot of tripping caused by voltage fluctuations or faulty equipment. In all probability, reasons will include original bad quality wiring in that area or overload with heavy equipment in a particular circuit. An industrious rat which has chewed up some wires can be just as probable! Termites eating up concealed wiring in a particular room resulting in total shorting of a phase is also very likely. Remote reasons can also include, wiring damage caused by natural causes like earthquakes and floods. A short circuit happens when two wires in a circuit touch while the point is in use. This causes heat generation and can be immediately sensed by the smell of burnt wire or conduit. Reasons are usually improper wiring in the equipment, plug and socket, or a loose connection in the socket. A fault in the earthing wire can cause a precautionary trip. It is wise to check the earthing if tripping happens without any other conceivable reason. 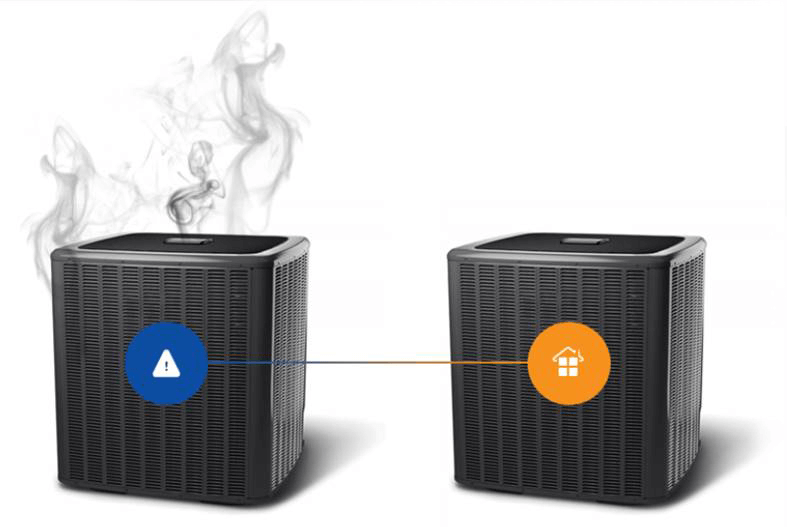 The trip will prevent a shock as any circuit functions to protect the appliance, user, and electrical system from damage. Overloading is the most common reason for why circuit breakers keep tripping. This could be because of the usage of a number of medium equipment at the same time in a circuit, or two or more pieces of heavy equipment on a single circuit. A simple example is running a refrigerator, a hair dryer and a water motor at the same time on a single circuit of 15 amps and utilizing 20 amps or more of electricity. In this case, the breaker will trip to avoid overheating. This can happen when the grinder, coffee-maker and juice maker are used at the same time on a single circuit. In offices, it is not uncommon to run a printer, a shredder and maybe an Air Conditioner all at once as well. Manufacturing industrial units, factories, hospitals, restaurants and the like have to deal with a lot of tripping circuits as well. The easiest and safest way to avoid this is to plan out the electrical circuits right at the beginning according to usage. If tripping occurs regularly, one of the following two solutions will help. Equipment like air conditioners, refrigerators, pumps and motors tend to overheat with continuous running. Even smaller equipment like laptops, televisions and hand dryers heat up with continuous use. This could also lead to tripping to avoid damage to the equipment. The solution is obvious as it is simple. Give the heated equipment the rest it needs before turning it on again. To sum up, there is always a possibility that the circuit refuses to work after tripping despite all your efforts. That could mean, that it’s time to call a professional. Like human beings, machines require constant care. 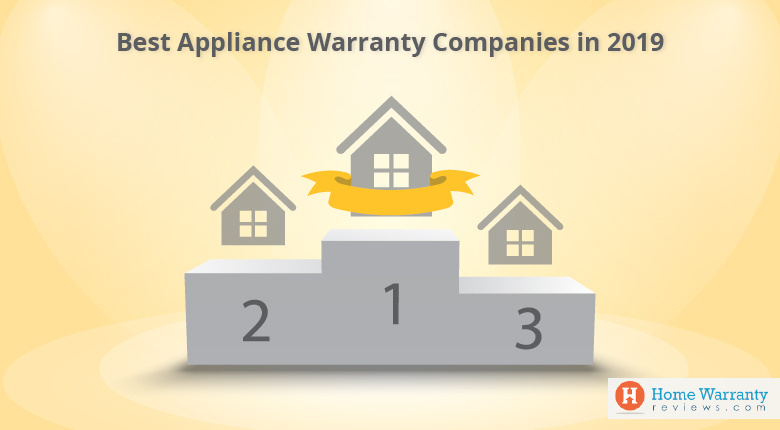 Choose a home warranty that covers all your appliances, take care of them and keep them well maintained. It is also important to know why should you must invest in a home warranty policy before going in for one. 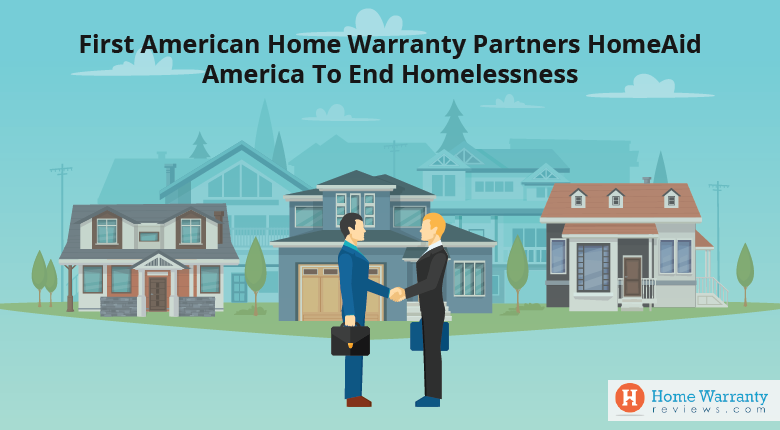 Don’t forget to read reviews on home warranty companies and do research before you choose for one. Next Post:How to Unclog a Kitchen Drain?